Emmylou Harris was never reticent to work with others. Although she has well over two dozen albums to her credit, she’s been aided along the way by a stellar assortment of other artists, from early mentor Gram Parsons through to various ensembles, her Hot Band being the most prominent. She also did a pair of albums in tandem with The Trio, an ad hoc super group featuring like-minded songbirds Dolly Parton and Linda Ronstadt, toured as Three Girls and Their Buddy alongside Shawn Colvin, Patty Griffin and Buddy Miller, and paired up on separate occasions with Mark Knopfler and Rodney Crowell, while all the while loaning her backing vocals to any number of artists as well. Still, the band called Spyboy marked a change in her trajectory. It was, in effect, the first time Harris found herself sharing the marquee with an integral ensemble and not merely relegating them to backing band status. Inspired by her preceding effort, 1995’s Daniel Lanois – produced Wrecking Ball, an effort that found her stripping down the arrangements with edgier intent, she teamed with bassist Daryl Johnson, drummer Brady Blade, and, most notably, guitarist Buddy Miller, the man with whom she would work throughout the next two decades. While the project seemed promising, the sole album that resulted — the eponymous Spyboy — didn’t point the way forward but rather took a hard look back. Along with a pair of songs from Wrecking Ball, many of the offerings made for a greatest hits, at least until that point. Most phases of her career were covered, if even by a single song, and, indeed, the majority of the material still forms an integral part of her current setlist. Even a cursory glance of the track list affirms the essential additives — “Born to Run” from the album Cimarron, her archival duet with Parsons, “Love Hurts,” “I Ain’t Living Long Like This,” a classic Rodney Crowell composition which debuted on Quarter Moon in a Ten Cent Town, and “Boulder to Birmingham,” a song that dates back to her classic debut 1975‘s Pieces of the Sky. 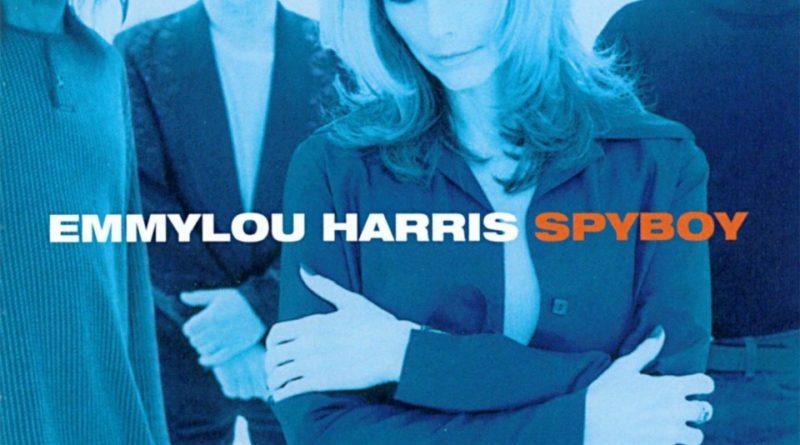 Nevertheless, the fact that the only recorded output from Spyboy was a live album and mostly plucked from Harris’ existing repertoire suggests that Harris never intended for the band to be a long range commitment. Indeed, after its release on August 11, 1998, there was little subsequent mention of the group or any further projects, other than a tour in support of the album’s release. The record that followed, Western Wall: The Tucson Sessions, found her renewing her bond with Ronstadt, but that too proved to be only a temporarily detour. Not surprisingly then, Spyboy not only had a limited shelf life, but also went out of print, a fate that may have had something to do with the fact that it was originally issued on a modest independent label, Eminent Records. Consequently, in retrospect it becomes clear that Spyboy was not the turning point that some had expected. Little more than a worthy concert collection, it’s a singular example of Harris’ habit of giving into a whim, and then moving on. And yet, though it could be considered a curio, there’s no denying its exceptional execution as well.